Dublin, Wednesday 28th May 2014: Two of the most popular faces in sport and broadcasting were flying high in Croke Park today to officially launch the 2015 BT Young Scientist & Technology Exhibition, which will take place in January in the RDS, Dublin. Irish rugby international Mike Ross, and RTÉ’s Keelin Shanley were joined by former BT Young Scientist winner Aisling Judge to call on students and teachers all over Ireland to get involved in Ireland’s premier science and technology exhibition. Both Mike Ross and Keelin Shanley are keen advocates of the STEM (science, technology, engineering and maths) agenda, having based their education around the subjects. Mike holds a BSc in Plant and Microbial Biotechnology from UCC, and has a real passion for science, something he says that he has been able to apply in many ways in his profession as an international rugby player. Keelin Shanley has a BSc in Biochemistry from Trinity College and over the course of her successful career has won numerous journalistic awards including science journalist of the year. BT Ireland calculates that almost 70,000 students have entered over 33,000 projects in the BT Young Scientist & Technology Exhibition over the past 50 years. The exhibition’s alumni include distinguished scientists, academics, researchers and successful high-tech entrepreneurs including Patrick and John Collison from Limerick and John Monahan, the first ever winner of the exhibition. The 2015 BT Young Scientist & Technology Exhibition will take place in the RDS, Dublin from January 7th-10th and the closing date for entries is October 1st 2014. There are over 120 awards including the overall BT Young Scientist & Technologist of the Year which was won by Paul Clarke of St. Paul’s College, Raheny in January this year. 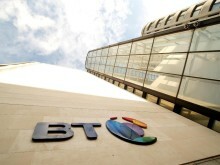 In addition, BT offers over 30 participating students the opportunity to take part in the BT Young Scientist Business Bootcamp, an intensive commercialisation skills programme that helps students transform their ideas into a real business opportunity. The BT Young Scientist & Technology Exhibition is organised by BT Ireland, one of the country’s leading communications and networked IT service providers, and is supported by a number of valued partners including the Department of Education & Skills, Analog Devices, Intel, and RTE. For more information on the exhibition and for details on how to enter, log onto www.btyoungscientist.com or follow the exhibition on Twitter @btyste.